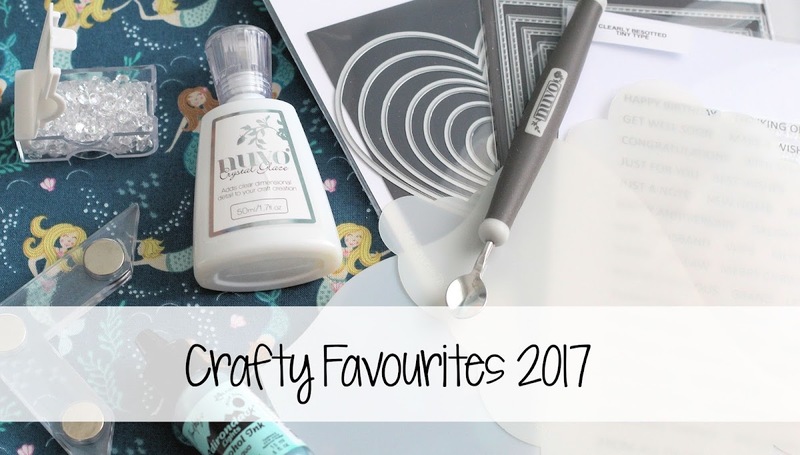 Hello there, today I am sharing a look my favourite craft products of 2017. 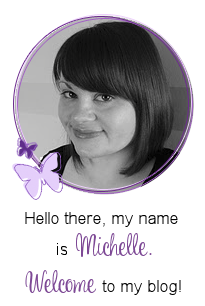 There was so many that I could choose from but I narrowed it down and just picked my very favourites that I discovered in 2017 or used a lot. First up is stamps. Well, there were so many stamp sets that I loved using this year but my very favourites are the Clearly Besotted Tiny Type set (I used it lots), the MFT Snow Globe Sentiments set (I used it a lot for Christmas cards), Clearly Besotted Make A Wish (how amazing is that magnolia image? ), Clearly Besotted Sending Sunshine (I love sunflowers!) 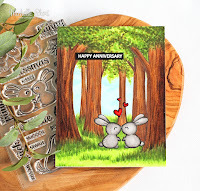 and the MFT Bitty Bears set (because it is so cute!). Next up is dies. Most of the dies I have used this year have been shapes/nesting dies. 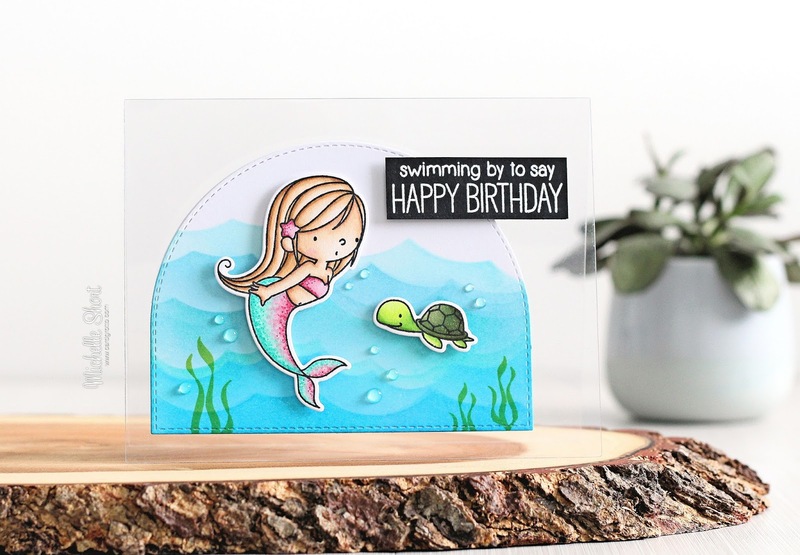 I love the Dotted Patterns Scallop Frame set from Studio Katia, the MFT A2 Stitched Rectangle sets and also the Hero Arts Nesting Infinity Dies. 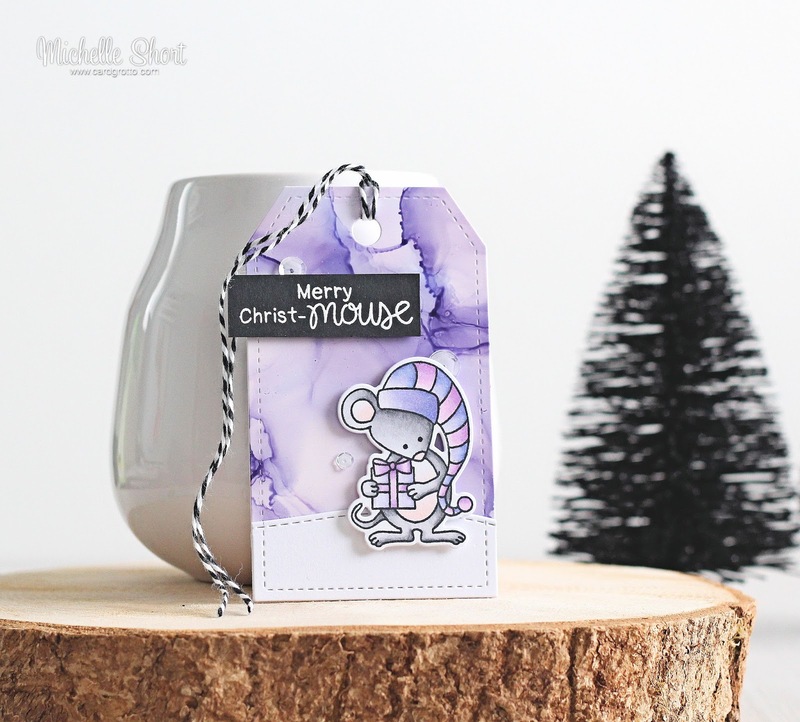 Another set I have loved using this year is the Clearly Besotted Tag Along Die Collection. 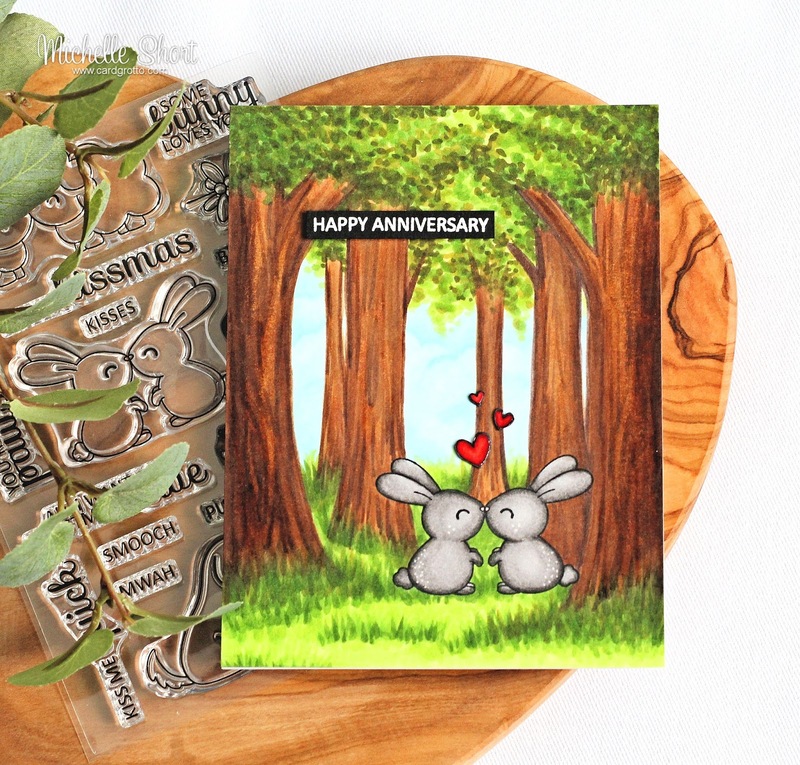 What a fabulous set, you can customise tags to your hearts content! 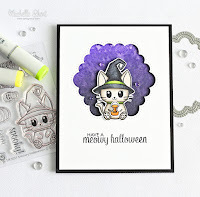 For stencils this year I have loved using the Hero Arts ones. 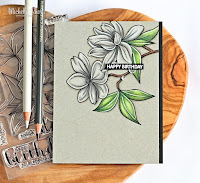 I have especially loved embossing with them. 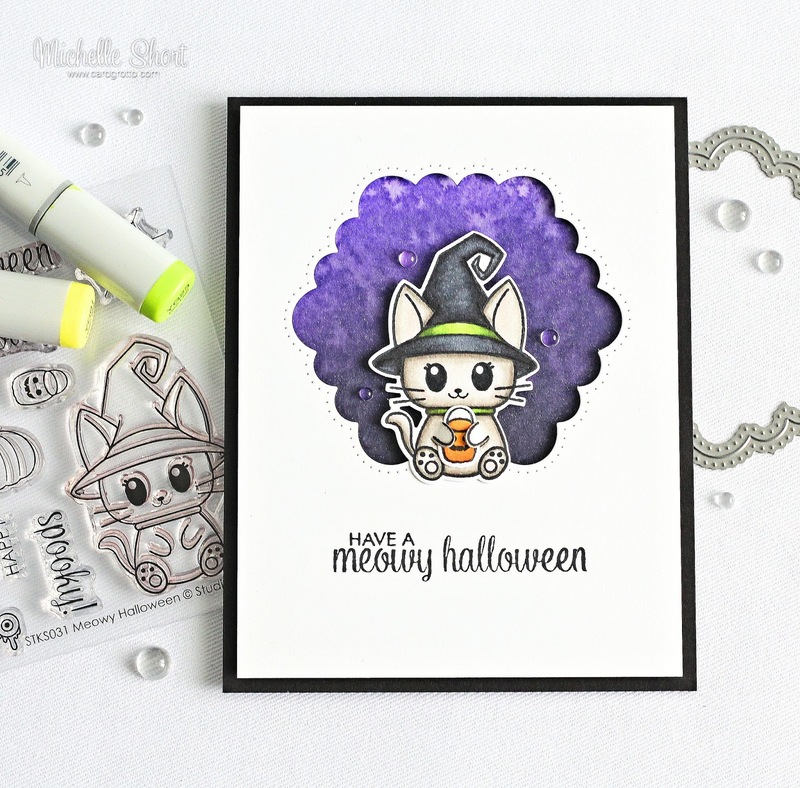 Two of my must haves though for the year, are the MFT Cloud stencil and the MFT Drifts & Hills stencil. How fabulous are they for creating clouds, waves and hills/snowbanks? I love them! Alcohol Inks have ben a big favourite of mine this year. 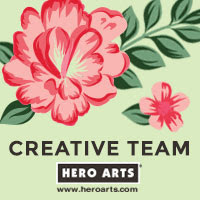 I have really enjoyed getting inky with them and creating some fun backgrounds. 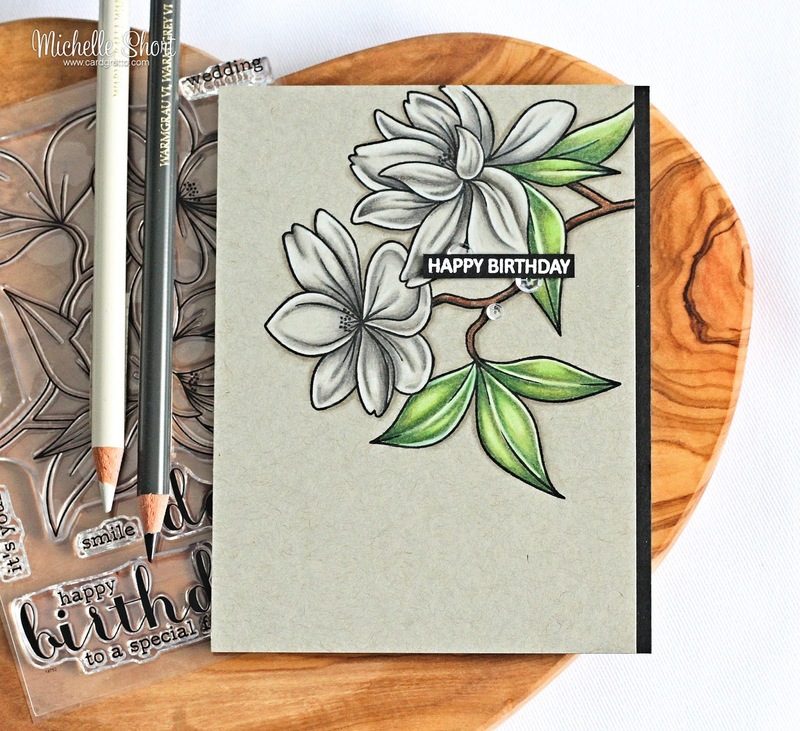 I have enjoyed using them with Yupo paper and also Lana paper, which is similar to Yupo. I have also enjoyed using Copic Marker Refills to get the same effect. One of my favourite storage/organisation pieces this year has been a nail polish holder. 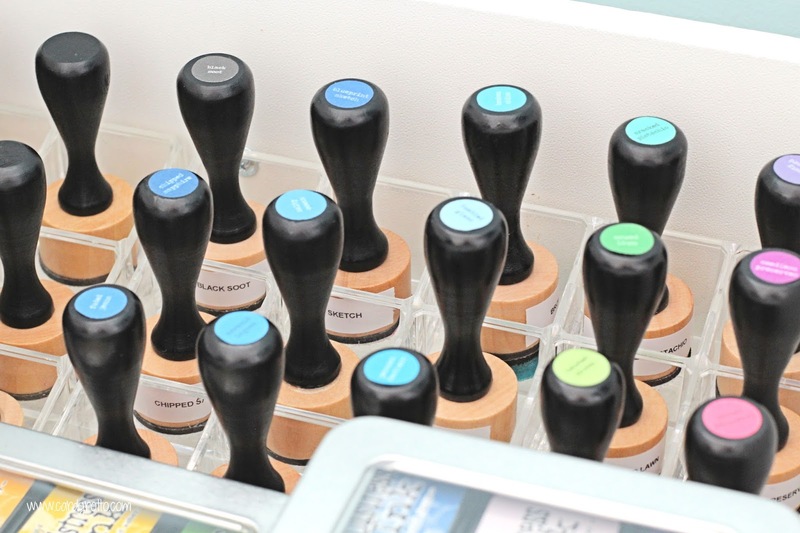 I love storing my ink blending tools in it for easy access. I mention it in my Craft Room Tour 2017. Next on to tools. I have loved the Tonic Easy Clean Mat this year. I like that it is white and that it has a non-slip coating on the back. I also really like the Tonic Spoon - it has so many uses from glitter to embossing powder. The Marvy Jewel Picker has been a big favourite of mine this year too and of course, I had to mention the MISTI tools. Although I didn't buy them this year, I have been using them a lot more so I felt that they needed a mention! I have them in beautiful cases made by my friend Ruth. 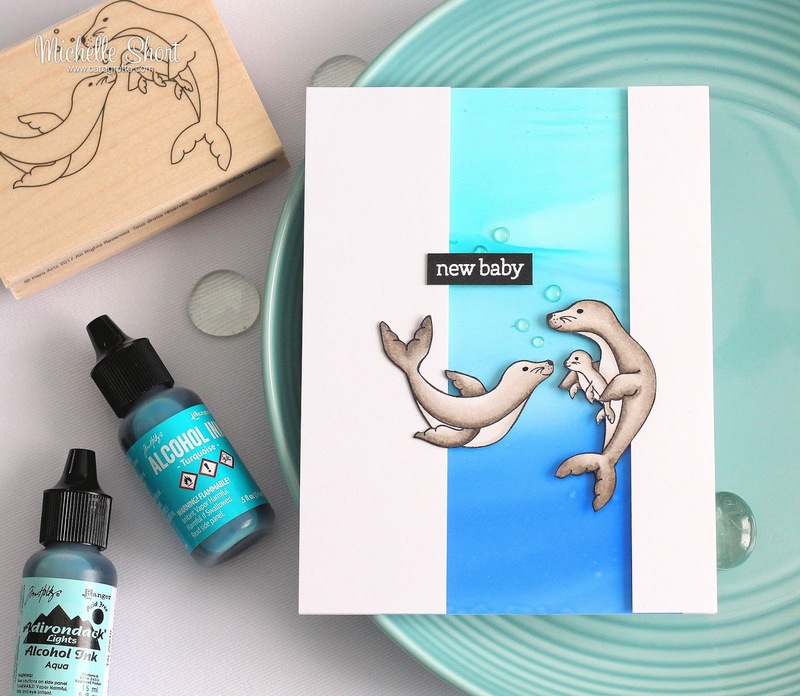 Last but not least, for embellishments I have loved using the Tonic Nuvo Crystal Glaze and the Rainbow and Ice Cube Jewels from Little Things from Lucy's Cards - so pretty! What have your favourites been this year? I would love to hear your thoughts so please leave me comment letting me know. Thanks so much for your support this year. Wishing you all a fantastic 2018. Thanks for your informative video. The cards you showed are fabulous.